Before Dr. Chhatre performs neck lift treatments, he thoroughly evaluates a variety of health factors in order to determine candidacy, including heart health, reaction to medication, recovery ability, and more. Neck lift candidates at our Kansas City, MO, practice should have some elasticity in their skin, and will need to have a realistic understanding of what the procedure can accomplish for them. A neck lift tightens skin around the neck for more youthful contours and definition. 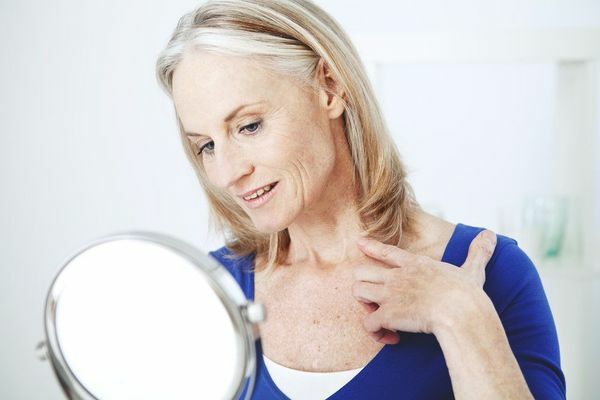 While aging can affect the entire face, many patients are satisfied with the look of their upper face but dislike the appearance of lax skin in the area around their neck. Rather than undergoing a full facelift, these patients can opt for a neck lift procedure. Good candidates will need to have skin with enough elasticity to endure any necessary stretching. Younger patients may not be candidates for the procedure because of their tighter skin. Candidates for neck lift surgery must be in good overall physical health. This will help to ensure the success of the procedure, contributing to a speedy full recovery. The neck lifts that Dr. Chhatre performs have helped to restore the confidence of dozens of patients, creating a more youthful look and boosting client self-esteem. Before performing the procedure, Dr. Chhatre will review the patient’s medical history and a list of any medications the patient currently takes. He will pay special attention to any heart-related medical issues, as these may affect the patient’s ability to undergo surgery. The patient will also need to advise the doctor of any allergies or reactions to certain medications, as this may affect his or her candidacy. Patients should quit smoking before undergoing this procedure. Smoking reduces blood flow to the skin, causing wounds to take a longer time to heal. Most doctors, including Dr. Chhatre, will not perform cosmetic surgery on patients who smoke. Patients preparing to undergo neck lift surgery should understand exactly what the surgery can accomplish. The surgery will not change your appearance drastically. Rather, it will tighten the skin to improve the appearance of your neckline. A neck lift procedure will not treat signs of aging in other areas of your face. If you desire a procedure that will treat signs of aging affecting the entire face, you should discuss your options for a full facelift or mini facelift, as well as other facial procedures, with Dr. Chhatre. Patients who exhibit a positive outlook and have realistic expectations of the final results of this procedure tend to feel the most satisfied with the outcome. To learn more about the neck lift procedure, and whether you are a candidate, call our office today. The neck lifts that Dr. Chhatre performs have helped to restore the confidence of dozens of patients, creating a more youthful look and boosting client self-esteem.